Apple's A-series Application Processors that power iPads--including the latest and greatest A8X in iPad Air 2--are inciting billion dollar losses for Intel and threatening major problems for rival tablet chips from Qualcomm, Samsung and Nvidia, along with all the companies that depend upon those vendors for their mobile chips. When Apple launched iPad just short of four years ago, rumors had hinted that the new tablet would use Intel's scaled down x86 mobile chip, then known at Silverthorne and now branded as Atom. 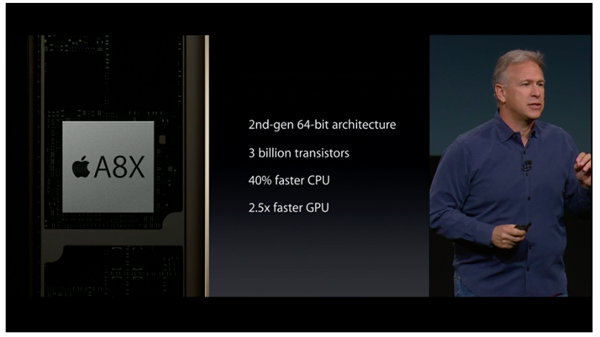 Instead, Steve Jobs announced the A4, a new ARM chip customized by Apple itself. In its first year, iPad immediately wiped out Microsoft's Windows Tablet PC (including the thick, expensive Samsung Q1 UMPC, below). In 2011, iPad 2 crushed HP's webOS TouchPad; the BlackBerry PlayBook; and a series of new tablets using Google's Android 3.0 Honeycomb, including the Motorola Xoom. By the end of 2011, Amazon attempted to sell a recycled version of the PlayBook as Kindle Fire, and toward the end of 2012, Microsoft's Surface RT appeared, with results no better than the volleys of iPad competitors that had flopped before it. Since the launch of Microsoft's Surface, Apple has sold about 70 million iPads per year, effectively capturing the vast majority of profits earned from global tablet sales. However, Apple didn't just beat Samsung, Palm, HP, BlackBerry, Google, Amazon and Microsoft in selling tablets. 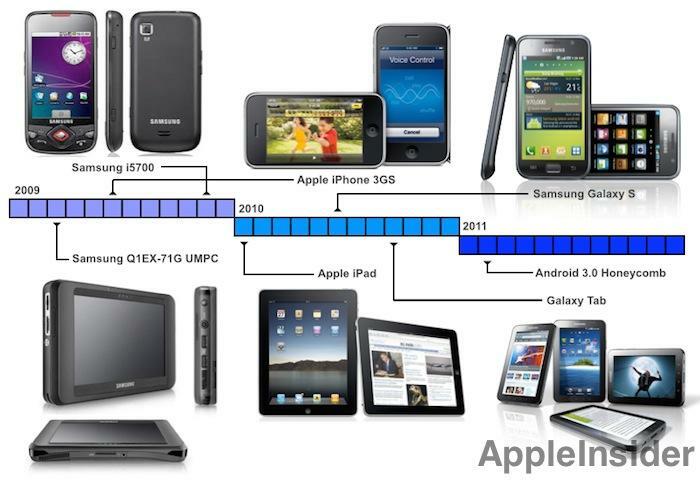 It also trounced every company making the chips intended to power those failed tablets. The biggest loser appears to be Intel, which not only lost Apple's business in the iPad but also lost its existing netbook and Tablet PC business due to iPad sales. Apple's iPad destroyed any prospects for Microsoft's "UMPC" devices like Samsung's Q1, powered by an Intel Celeron M. Intel has also seen minimal uptake for its Atom chips designed to power Tablet PC and netbooks, and also suffered as iPad sales have helped to derail growth in conventional PCs, most of which are powered by Intel x86 processors. 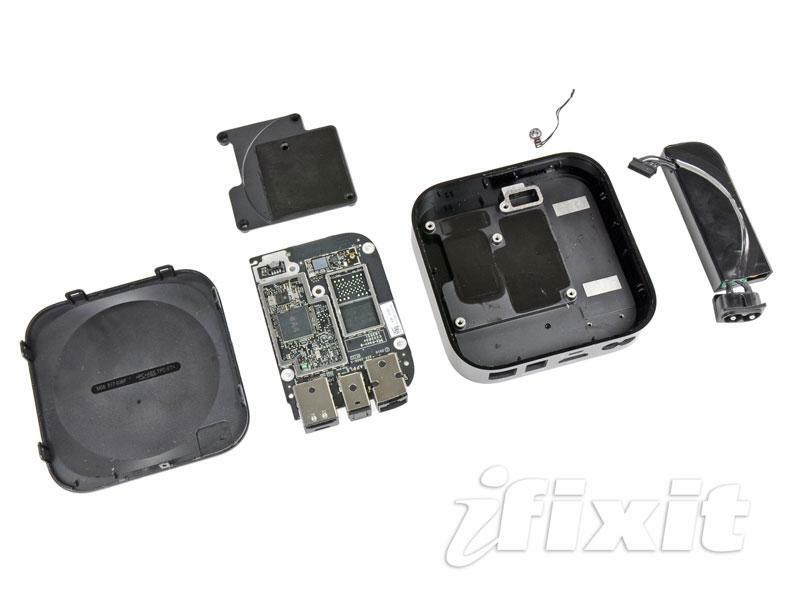 Texas Instruments OMAP chips were also crushed by Apple's iPad. OMAP chips powered the Playbook, Kindle Fire, Motorola Xyboard and a variety of Samsung Galaxy Tab models. The failure of so many OMAP experiments competing against iOS eventually prompted TI to leave the consumer Application Processor business entirely. Nvidia was also a big loser among the suppliers of failed iPad rivals. After launching its original Tegra chip in Microsoft's failed Zune HD and KIN products, Nvidia's Tegra 2 was paired with such flops as Motorola's Xoom and Dell's Streak tablets, while Microsoft's back-to-back Surface RT flops were powered by Tegra 3 and Tegra 4 chips. Nvidia's last gasp in tablet Tegra chips is the K1, the first 64-bit ARM chip capable of running Android, with 192 GPU ALUs (erroneously branded as "cores" by Nvidia). However, before the new K1 could even ship in Google's new Nexus 9, Apple released its own iPad Air 2 A8X with 256 ALUs, beating Nvidia's best chip in both CPU and GPU with superior sustained performance and better power management. Like TI, Nvidia has abandoned the phone market and now appears close to giving up on tablets, too. Qualcomm has also had a hard time with tablets, powering such flops from the HP TouchPad to the Nokia Lumia 2520. A larger problem for Qualcomm, however, is that Apple's iPad has taken the high end, leaving it to service the large numbers of cheap tablets selling in China. Licensing IP to Chinese companies is a frustrating business, as the company noted in its report to shareholders, which complained that "certain licensees in China currently are not fully complying with their contractual obligations to report their sales of licensed products to us." Qualcomm Application Processors are used by Samsung, but primarily in the company's phones and 4G tablets, where Qualcomm IP is required. Samsung's higher volume WiFi-only tablets (which it liberally gives away) typically use Samsung's own Exynos ARM chips rather than Qualcomm's Snapdragon, even though Samsung's Exynos is much slower. An equally significant problem for Qualcomm is that few companies apart from Apple are even trying to sell premium tablets, and the niche examples of higher end, non-Apple tablets are using competing chips (Microsoft's Surface Pro uses Intel chips, while Google's Nexus 9 has an Nvidia Tegra K1 and Samsung uses Exynos). That has forced Qualcomm into the low end of tablet-bound chips, resulting in weak profits. Without any real manufacturer demand for powerful Snapdragon tablet chips, Qualcomm has little reason to invest in the development of powerful new tablet chips on par with Apple's A8X. That means Apple will increasingly hold onto the high end in tablets with few legitimate competitors, while its tablet rivals all fight for scraps at the low end. Vendors who do want to enter the high end tablet space will face chip options limited to Intel's expensive x86 chips or very low end ARM chips aimed at powering phones rather than more sophisticated tablets. The profits Apple is earning from iPad sales are being aggressively reinvested back into the rapid development of Apple's own A-series chips, which no other vendor has access to. Prior to 2010, Apple had been using off the shelf ARM chips from Samsung in its iOS devices, creating economies of scale that benefitted every user of Samsung's ARM chips, including Samsung itself. Samsung is now struggling to come up with its own 64-bit ARM alternative to Apple's A7, A8 and A8X, but is forced to use generic ARM designs that are less efficient and powerful compared to Apple's custom designs. Apple has also diversified its chip manufacturing to include TSMC, which has stripped Samsung of chip manufacturing volume, increasing the production costs of Samsung's own chips. The billions of dollars Apple has earned from iPad sales, along with even greater profits from iPhones that share the same A-series technology, have enabled Apple to fund the very expensive custom development of mobile Application Processors that are now approaching the CPU and GPU power of entry level PCs, but are cheaper to build and feature superior power management. That's a potential threat to Intel's Mac business, were Apple to launch new Mac models using the company's own internal A-series Application Processors. But even if that doesn't happen in the next couple of years, Intel also faces the possibility that Apple will continue to launch entirely new product categories that won't need Intel processors. iPhone, iPod touch and iPad are obvious examples, but another product that is often overlooked is Apple TV. That device was first launched in 2007 with an Intel processor; it was essentially a scaled down desktop Mac. However, in 2010 Apple launched its second generation Apple TV powered by the same A4 chip as the original iPad and iPhone 4. Samsung, LG and a variety of smaller players are now producing custom ARM chips for consumer devices, but none with the high end, high volume sales that Apple achieves. Their designs also follow the generic outline of ARM, typically using ARM's less powerful Mali graphics (as opposed to the leading PowerVR mobile graphics Apple is incorporating). That results in a market for Application Processors outside of Apple that is either low cost/low power, or extremely low volume and therefore expensive. Apple has effectively made Application Processor sophistication a strong, proprietary advantage alongside user interface, operating system savvy and advanced software development frameworks and tools. At the same time, the market is seeing a sharp contraction in the variety of distinct processor families available. These factors will make it increasingly expensive for other vendors to attempt to copy Apple's products, or force them to remain in business at the low end, ceding profitable market segments to Apple. As Google can attest, that's not a desirable position.